Huvafen Fushi is in North Malé Atoll of the Maldives. 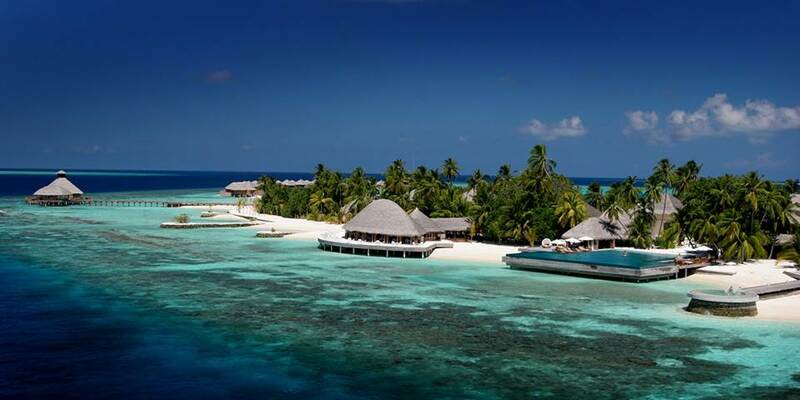 Your Maldives experience begins with a breathtaking 30-minute speed boat ride from the Male international airport. For those who prefer to fly you can take a 15 minute charter sea plane transfer across the atoll. 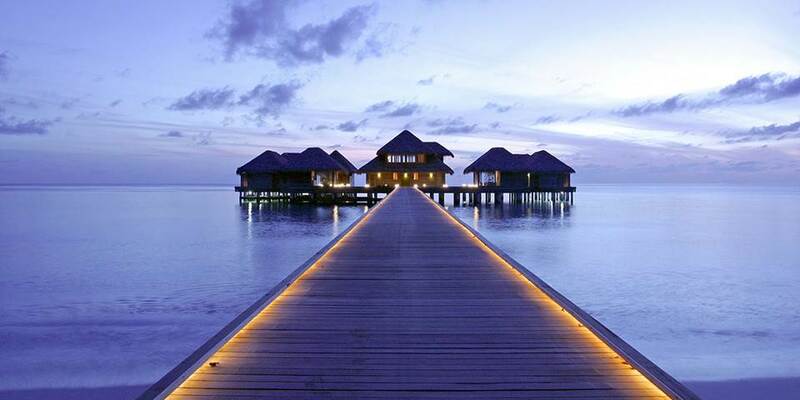 This barefoot luxury resort is set within its very own lagoon, Huvafen Fushi exudes a sophisticated modern vibe where the stunning environment – above and below the waterline – is an attraction in itself. The resort offers a unique combination of island chic with contemporary architecture, allowing guests to embrace the island’s gifts while relaxing in sensual indulgence. 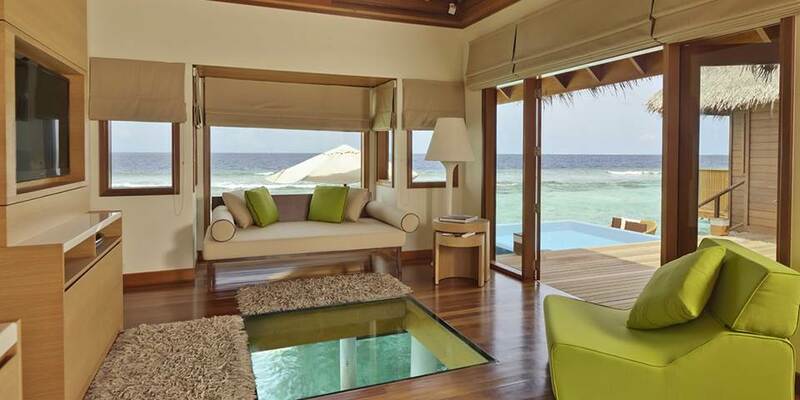 Every Huvafen Fushi villa, whether on the beach or over water, has its own freshwater plunge pool. The villas are designed in upscale minimalism, but also come complete with plasma televisions, iPod docking stations, and the latest in modern conveniences. For those who desire to go indigenous, Huvafen Fushi launches 5 dhonis- handcrafted vessels fitted out with designer luxuries. When you’re ready to indulge in the resort’s culinary offerings, tantalize your taste buds with an evening in the superb Vinum underground wine cellar or an ocean-side table at one of the outstanding over-water restaurants. Any meal should certainly be followed by a visit to UMbar, the swanky water’s edge lounge perfect for enjoying a designer cocktail. Layback and relax in the outdoor salt water floatation pool or for the more active there is an Over-water fully-equipped gymnasium where guest can spot reef shark gliding past in the shallow glittering waters. ‘The Lair’ gives access to a Library, Television and Internet area - extensive DVD and CD library for guest to enjoy, In-Villa Internet access is readily available. Full range of excursions, including sunset fishing on a Dhoni (traditional Maldivian sailboat), big game fishing, and sand bank snorkelling together with Scuba Diving - PADI certified. LIME Spa makes its distinctive mark on the world spa scene with a combination of soothing architecture, cutting-edge spa technology and the very latest in water therapies, including the World’s first ever underwater spa treatment rooms. Yoga, fitness training and personalized programs aid guests on the path to total wellness. The soul of Aquum Spa is living authentic to nature, drawing upon the natural and restorative qualities of water. With fresh produce from around the world flown in daily, the master chef and his team deliver temptation at every turn with flavourful, light and healthy cuisine in always stunning settings. 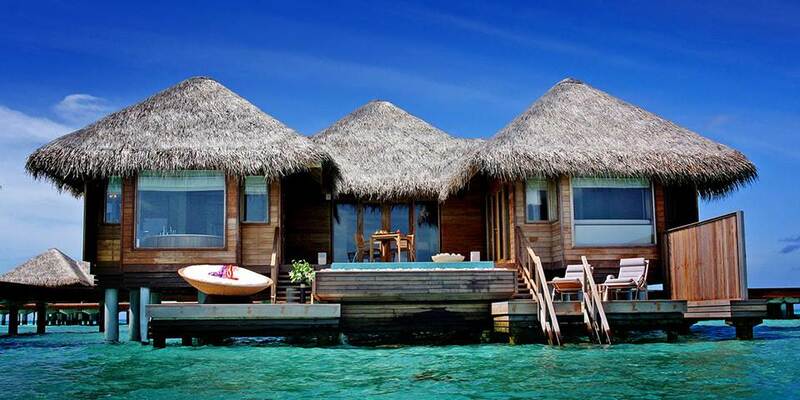 All Villas have their own plunge pools, even the over-water villas. Huvafen Fushi has a total of 43 bungalows. 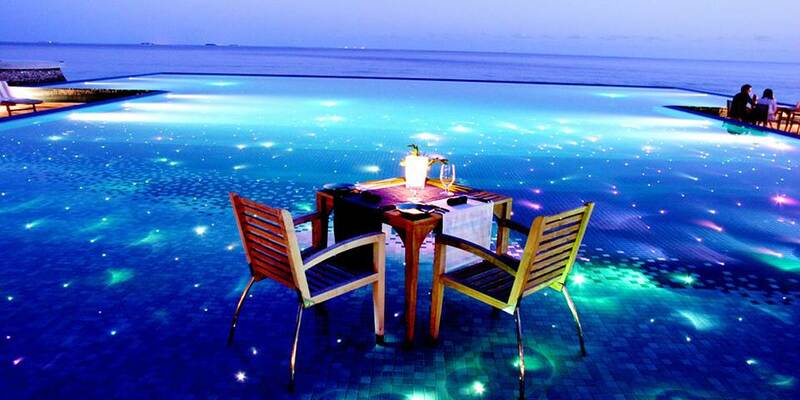 Each Bungalow has its own plunge pool, 24-hour butler service, and faces the lagoon or the ocean. Facing the pristine lagoon, Beach Bungalows offers a sumptuous deck overlooking the beach with daybed and dining table. The private courtyard style houses have open-air waterfall shower, king-sized bed, luxury bathroom, an enclosed outdoor area in the back with private plunge pool, and a deck in the front leading to the beach. The Beach Pavilion is pure indulgence with its avant-garde design and very own private beach. The Ocean Pavilion with Pool, a further 330 feet out in the Indian Ocean, these stunning Pavilions face the sunset and are the last word in pampered luxury. A land & sea experience. Sensuelle, a is lavishness 21 meter yacht which is available for bookings in tandem with the Ocean Pavilion, Beach Pavilion, Deluxe Beach Bungalow or Ocean Bungalow. The Sensuelle experience includes a personal spa therapist, Bose sound technology, LG flat screen TV, and a 24-hour discreet and dedicated crew. Master bedroom with oversized bath and king bed, two bathrooms, spa room, wine cellar, bar & chill out area, kitchen, jacuzzi.